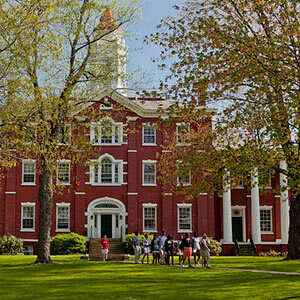 An education in the liberal arts and sciences gives you more choices, more opportunities, and, yes, more challenges. Allegheny is one of the few liberal arts colleges in the country that will ask you to choose both a major and a minor. The scientist who can present her research in an engaging yet persuasive manner will be more successful in her career; likewise, the international aid worker who can quickly integrate the latest quantitative data will be that much more effective in his work. 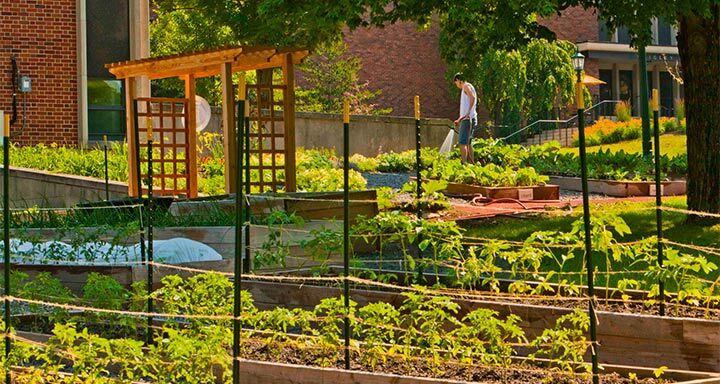 At Allegheny, you’ll be asked to complete the type of work that is the caliber of graduate school inquiry. Is it rigorous? You bet. But our faculty are people who pride themselves on being teachers first—they will advise and support you to move beyond what you can even imagine now. They will provide you with opportunities and challenges that will lead you from hard work and dedication to extraordinary outcomes. According to Washington Monthly Rankings, based on the strength of our contribution to the public good. Decide where you want to make a difference. 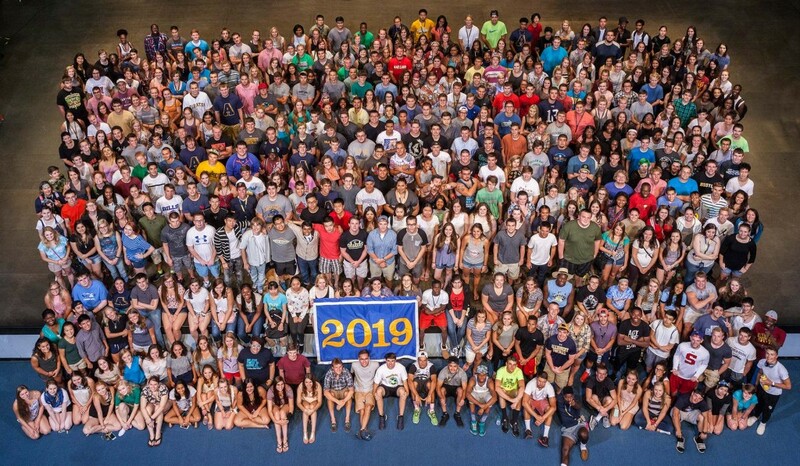 All Gators complete First-Year and Sophomore Seminars, which introduce them to academic life at a liberal arts college and help them to develop the skills necessary for academic and career success. However, unlike most colleges and universities, Allegheny does not require a prescribed set of courses that all students must complete in advance of beginning their major. Rather, you work closely with your advisors to choose a certain number of courses from the humanities, natural sciences, social sciences, and interdivisional programs—jump right in to the courses that interest you most! At Allegheny College we feel so strongly about Unusual Combinations that it’s built right into the curriculum. 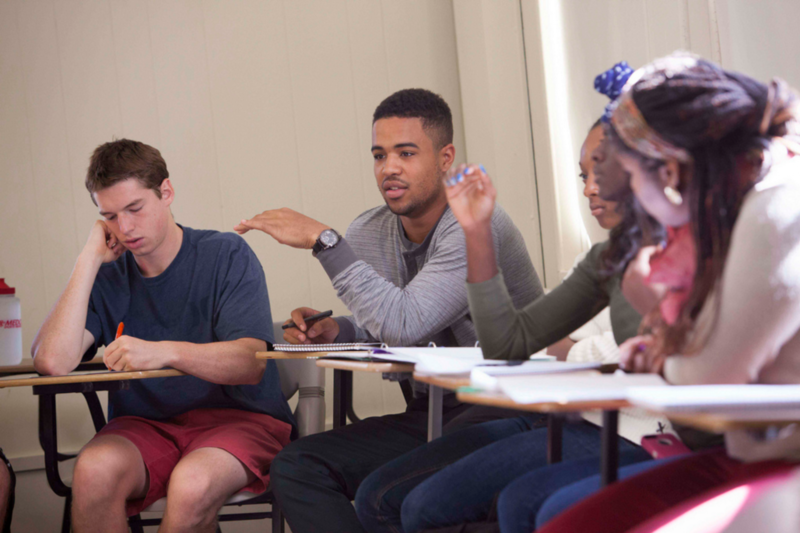 We’re one of the few liberal Arts Colleges that require students to choose a major as well as a minor. Because of this, you’ll see many student choose all types of unusual combinations when choosing their focuses: and environmental studies major with a minor in creative writing, a chemistry major with a minor in history. 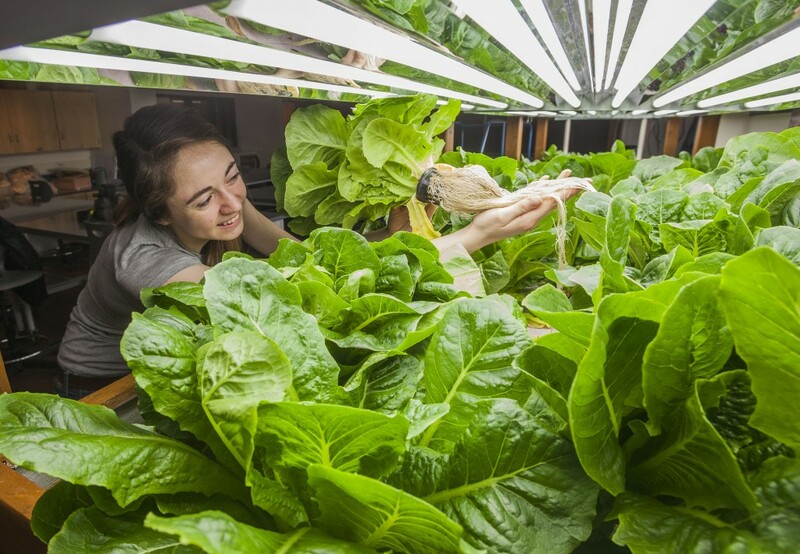 Students combine their interests and expand their concentrations beyond one division, developing the sort of “big picture” thinking that is in high demand in today’s global marketplace. 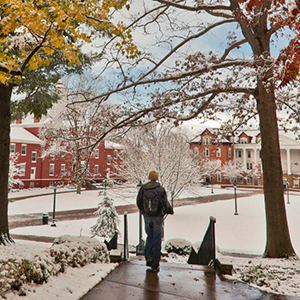 Allegheny College is accredited by the Middle States Commission on Higher Education. 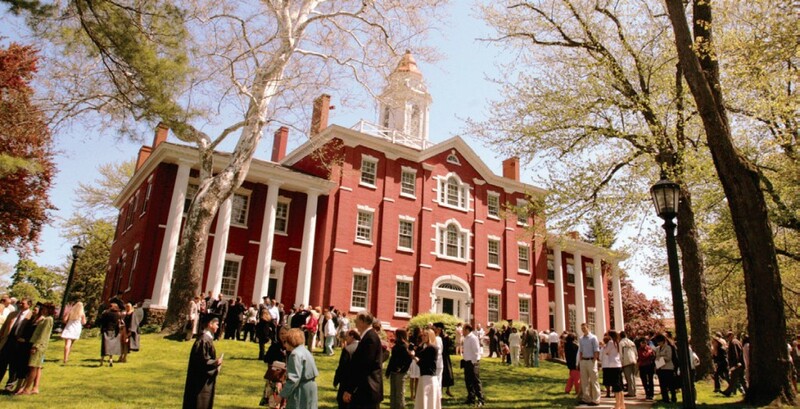 More information about Allegheny’s accreditation can be found on the Commission’s web site. Since 1821, all Allegheny students have completed and defended a comprehensive research project now known as “The Senior Comp.” This project represents the culmination of a consciously designed four-year series of critical-thinking seminars that will move you from the discursive to the persuasive, from general approaches to ones that are discipline-specific, right to the point when you are ready to make an original contribution to your field of interest. ACRoSS is an interdisciplinary forum for the presentation of summer research projects to an audience of students, faculty, and administrators. It is just one example of how students engage in research throughout the year. 108 Students conducted research with faculty in the past year, not including independent student and Senior Comp theses. Living on campus – At Allegheny, we take the phrase “live and learn” to heart…and our four-year residency requirement supports that perspective. Living styles include all-male, all-female, and co-ed residence halls and apartments configured as suites, singles, doubles, triples, and quads. Academic Commons – Home to the Gateway, the Maytum Learning Commons, and Pelletier Library, the Academic Commons is a space designed for student success. With its study rooms, movable furniture, and your very own research cube, the building is a hub for academic support and collaboration. 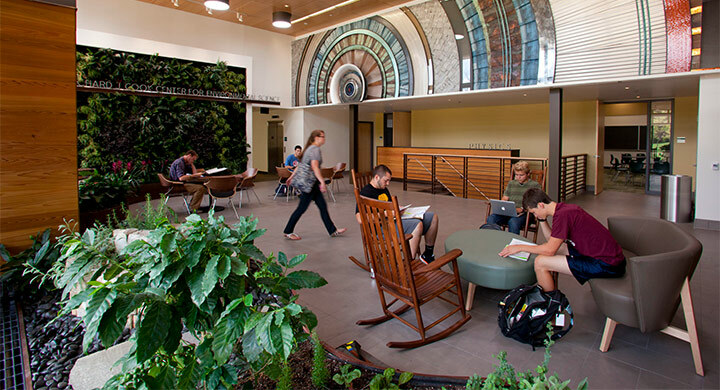 Campus Center & Gator Quad – Major campus events, late night snack runs, student government meetings…the CC houses student-run Grounds for Change coffeehouse, WARC radio, the game room, bookstore, and student organization offices. Dining on Campus – Brooks Dining hall, McKinley’s Food Court, fair-trade ingredients, campus-grown produce, allergy safety zones, daily vegan and vegetarian options, compostable packaging & reusable containers, local bread and artisan pastry items, accepts special dietary requests from students. Would You Like To Become a Language Teacher? The Office of Spiritual and Religious Life supports members of the Allegheny community in learning, growing in leadership, and developing as whole persons. Through programs, worship experiences, discussions, and fellowship groups, the office seeks to nurture and encourage persons of faith to deepen their engagement with their own faith traditions, while developing respect for difference. Allegheny’s commitment to diversity extends to religion and compels our support for students of all faith traditions, and to the need to prepare students to live in a religiously diverse world. Recent greenhouse gas inventory indicates Allegheny is 71% of the way to achieving our goal of climate neutrality by 2020. Every year sees great strides toward this goal. 2014-15 was no exception. As of January 2015, as a participant in the Better Buildings Challenge, we have achieved 11% efficiency in our energy use intensity. Our ultimate goal is 20% efficiency by 2020. The 12th Annual DeHart Local Foods Dinner sold out and featured the products of dozens of local farmers. 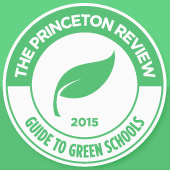 The annual Energy Challenge resulted in a 10.6% reduction in electricity consumption and savings of $8800. waste to fill five Baldwin dorm rooms. Perhaps nothing illustrates the synergistic power of combinations better than Allegheny athletics. 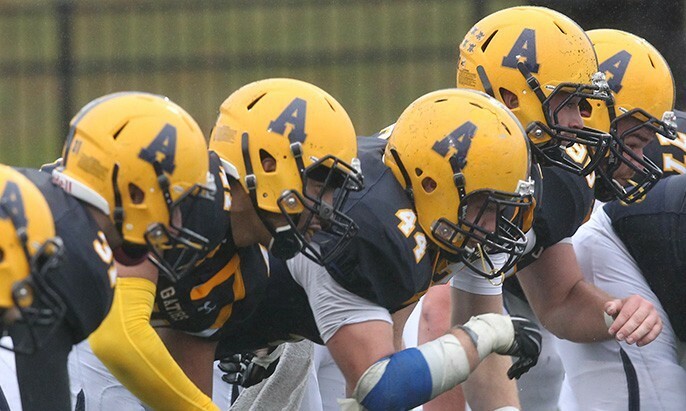 As a founding member of both the NCAA & NCAC, Allegheny is committed to the philosophy that athletics can and should complement academic life rather than compete with it. A complete athletic facility comparable to the best among colleges Allegheny’s size, the David V. Wise Sport & Fitness Center was opened in the 1997 volleyball season. 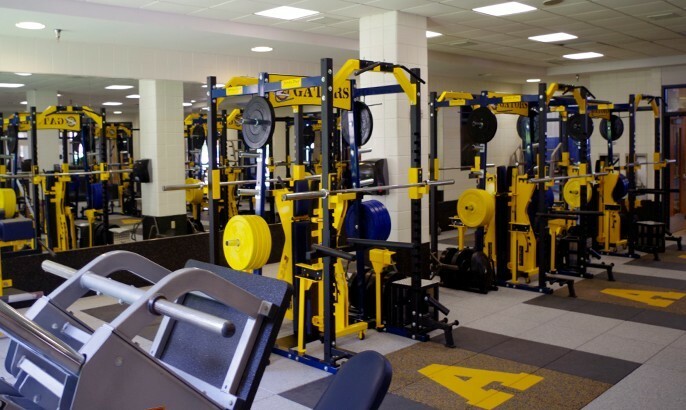 The multi-million dollar building is the hub of all indoor athletic activities on campus. The 1,200-seat performance arena is home to the basketball and volleyball teams. The Neo-Shok floor is used by several NBA teams, including the Miami Heat. The arena’s six BPI baskets are among the best and most widely used on the market. The team locker rooms are located at court level and measure approximately 17-x-30 feet. Spectators enter the arena at street level on to a spacious concourse. The playing floor lies 15 feet below, creating a remarkable amphitheater effect. The bleachers, which include three rows of chair back seating, can be electronically compressed to create two full-length courts for basketball practices. Named after 1906 alum Andrew Wells Robertson, the state-of-the-art Robertson Athletic & Recreation Complex encompasses the home facilities of the baseball, football, women’s lacrosse, men’s and women’s soccer, softball, and tennis teams. Originally known as College Field, the complex was named after Andrew Wells Robertson in 1962 to honor the year he was named Chairman Emeritus of the Allegheny Board of Trustees. Robertson purchased additional acreage along Park Ave. to supplement land originally donated in 1910 by John F. Eberhart. (class of 1853). In addition to donating land, Robertson underwrote the cost of developing the athletic field. 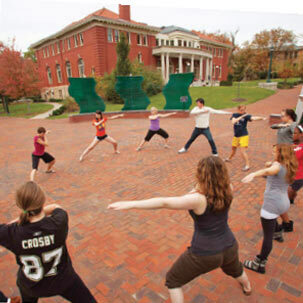 A beautiful and spacious venue for intercollegiate athletics, Robertson saw that the natural setting was preserved by having shrubbery and trees removed during construction replanted elsewhere on campus. 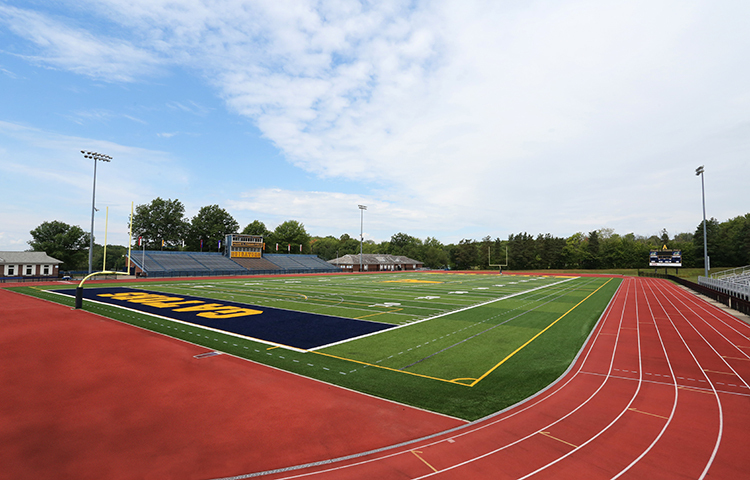 Frank B. Fuhrer Field, located within the 203-acre Robertson Athletic Complex, was completely renovated in 2006. Fuhrer Field features a FieldTurf playing surface (the same surface used by many NFL teams), stadium lighting, full locker rooms, and an eight lane Olympic-style track. Tough intercollegiate competition. Student-run, Allegheny-supported. 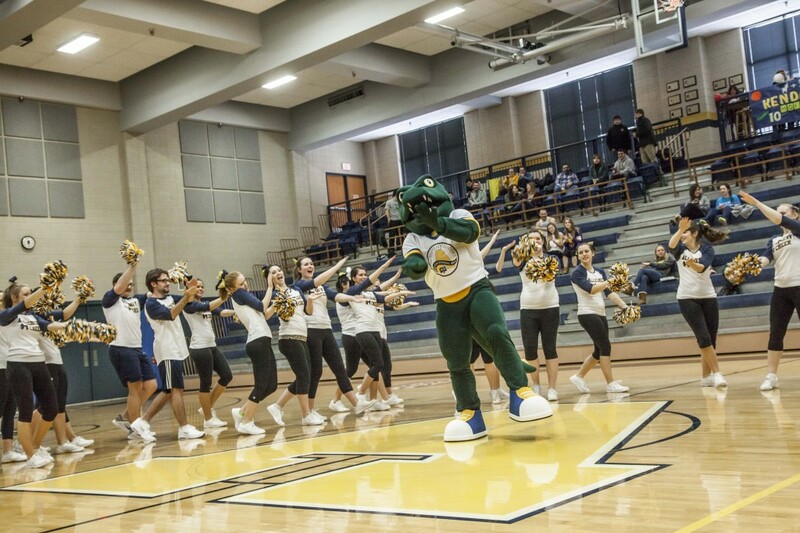 Chompers keeps the crowds cheering — the gator mascot was first used in Allegheny’s Alligator magazine in 1925. 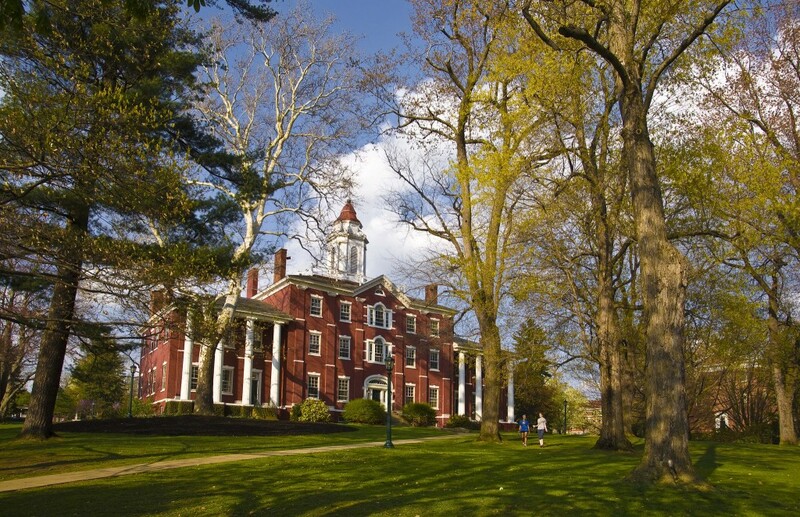 Allegheny’s campus is perched on a hill overlooking Meadville, a county seat that has been recognized as one of the Top 100 Places to Live. Meadville anchors an area of 15,000 residents and is where Allegheny students do everything from enjoying live local music to taking in the latest movies, from creating art installations to participating in service. Venture even farther afield and you’ll discover that Allegheny students live in a section of the country that most people get to see only on vacation. 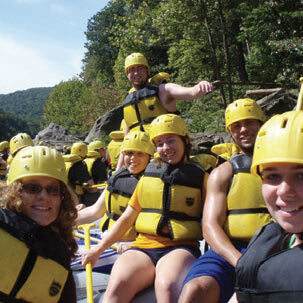 Allegheny is home to one of the oldest Outing Clubs in the country and a recreation program that is nearly unparalleled at any college of comparable size.